According to research by Emirates NBD, the UAE is one of the largest automotive markets in the Gulf, second only to Saudi Arabia. The UAE relies heavily on imports, with nearly all cars being imported from manufacturing facilities abroad. Aside from a small number of factories that assemble components for trucks and buses, as well as factories that produce armoured vehicles, there is no significant automotive manufacturing activity taking place within the UAE. The UAE’s strong economic growth, household spending and relatively easy access to vehicle financing are likely to be the primary drivers for the automotive industry over the coming years. As the UAE’s population continues to grow, the growth outlook for the automotive sector looks positive. The International Monetary Fund’s World Economic Outlook estimated that the population of the UAE will grow to approximately 10.8 million between 2016 and 2021. Any increases in public spending on development projects and general infrastructure to support such an increase in population will generally bolster the automotive sector, through demand for trucks and other commercial vehicles required for such growth. However, if oil prices remain depressed this may affect the level of public spending, which may in turn affect automotive demand. The UAE is also becoming a hub and re-export centre for vehicle parts and components in the Gulf region. Abu Dhabi’s government initiative to develop an ‘Auto City’ in the Mussafah area, southwest of Abu Dhabi, will potentially create a cluster of advanced workshops and service centres, attracting investment in automotive manufacturing and spare part logistics. All motor vehicles must be insured and licensed by the Roads and Transport Authority (RTA) before they can be driven on UAE roads. The process of obtaining such insurance and licensing is straightforward and can be dealt with by auto dealers or car owners directly at any RTA outlet. all vehicles must have an alarm to notify the driver when the vehicle exceeds the speed of 120km/hour in cars and 100km/hour in buses. In relation to homologation of new vehicles in the UAE, automotive manufacturers often conduct simulated tests at their factory facilities followed by local testing in the Gulf Cooperation Council (GCC) to confirm that prototypes of new vehicles are fit for driving in GCC countries and meet the standards set by the GSO and ESMA prior to any mass production taking place. Certain tests are designed in part to ensure that new vehicles are capable of functioning properly during extreme heat conditions which are the norm for GCC countries, for example between April and October in each year. The vehicle’s durability, performance and stability are tested by representatives of the manufacturer driving it off-road and on highways at high speeds, and engines, transmission and other powertrain elements of the vehicle are tested through driving in standard city traffic, with an emphasis on relatively low speeds and frequent stopping and starting. The other vehicle processes such as engine lubrication, electrical systems, braking, steering and air conditioning are all monitored during these tests to ensure that they perform to the required standards of each market. If any of these systems do not perform to the required standards, then the manufacturer’s factory is notified in order to fix minor problems prior to mass production. In the case of substantial problems with prototype vehicles, the prototype will be sent back to the factory for investigation and a new prototype will be developed to undergo the same tests. Otherwise, the prototype is left with the local distributor in order to increase its mileage and measure wear and tear conditions. In relation to certification, the automotive manufacturer will normally have a representative that is familiar with ESMA and GSO standards and confirm that the vehicle (or any parts) meet the requirements of these organisations. After such self-certification process takes place, the new vehicle’s specifications are sent to the GSO for registration of the new vehicle, which is a requirement for customs clearance and further registration of the vehicle by any consumer. The majority of automotive manufacturers operating in the GCC have their regional head offices and logistic distribution centres located in Jebel Ali Free Zone in order to supply new cars and spare parts to their network of authorised distributors. The contractual structure of automotive distributors or dealers may vary according to the policies of each manufacturer. However, in general terms, the operations are normally governed by dealership agreements covering commercial commitments and targets, in addition to legal terms and conditions in connection with the responsibility and obligations of each party. The lengths of such dealer agreements may vary, typically from one to five years, depending on the relationship between the manufacturer and distributor and any historic performance records in achieving annual commitments and targets. The automotive sector is considered by the government to be a key industry in the UAE and it is therefore protected through the UAE Commercial Agency Law No. 18 of 1981. An automotive manufacturer cannot have a direct customer-facing branch or office in the UAE, meaning it cannot sell directly to customers and must instead use local Emirati agents as distributors to sell its products in the region. There are analogous laws in several other GCC countries. Orders for new vehicles and parts are normally processed by the regional offices of the manufacturers. Weekly supplies of vehicles and parts are usually shipped from logistics centres by trailer within the UAE and GCC and by ship to other destinations in Middle Eastern and North African markets. Monthly stock orders may be shipped from factories abroad directly to importers and distributors in the UAE. The importers and distributors must have trading licences issued by the Ministry of Transport and renewed periodically by local authorities such as the Chamber of Commerce in each emirate. Performance and metrics in relation to customer satisfaction are normally reviewed by automotive manufacturers and their distributors through regular meetings between senior executives from both parties. Any restructuring of a distribution arrangement is normally preceded by a number of warning letters and potentially arbitration proceedings in accordance with the distribution agreement. The Federal Commercial Agencies Law No. 18 of 1981 can cause significant issues for automotive manufacturers seeking to terminate their relationship with a local distributor. This was the case when a major international automotive manufacturer sought to terminate its distribution relationship in the late 1990s. The manufacturer was unable to terminate the relationship due to restrictions under the Agencies Law. The dispute that arose between the two companies proceeded before the courts of the UAE, and the manufacturer was unable to appoint a new distributor in the UAE until the dispute was resolved. The manufacturer was unable to sell its products in the UAE for several years as a result of this dispute with its local distributor. As an automotive manufacturer cannot sell directly to customers in the region, manufacturers do not have a significant direct presence in the UAE. Most M&A activity therefore tends to occur at the distributor level, rather than the manufacturer level. Any M&A or JV transactions that result in a significant change in the ownership of a distributor should be reported to the Ministry of Economy (MOE) under MOE regulations. In addition, distribution agreements often contain change of control provisions that will require the distributor to notify the automotive manufacturer if such a change in ownership were to occur. The main barrier to entry into the market in the UAE is the requirement to use authorised distributors. Due to local laws, an international automotive manufacturer cannot simply 0pen an office or showroom in the UAE, and will need to appoint a local agent that will act as its authorised distributor in the country. In practice, this means that any new automotive manufacturer entrants into the UAE market will need to identify an appropriate distributor in the region to sell their vehicles and parts to consumers. As described in question 1, Abu Dhabi’s government initiative to develop ‘an Auto City’ in the Mussafah area is likely to lead to the creation of new production plants for cars, light vehicles and trucks, as well as assembly lines for manufacturing spare parts and vehicle accessories. This strategy could increase opportunities for automotive manufacturers and distributors in the UAE. There are no specific product recall rules that exclusively apply to the automotive industry in the UAE. We have therefore set out general principles in relation to product recalls and compliance safety below. Consumer safety and protection are regulated by the MOE. The safety and quality of products are further standardised in the UAE by ESMA and local authorities such as the Department of Economic Development, the the Dubai Municipality and Abu Dhabi Quality and Conformity Council. Together with the emirate-level authorities, the MOE has the power to investigate and enforce the recall of defective products based on consumer complaints and reports from international markets. estimate the time frame expected to remedy the defect. the procedures to be adopted to avoid the defect arising, where possible. instructions which consumers should follow to have the goods repaired or replaced or to have the price of the goods refunded. The responsibility to notify the authorities and consumer will lie with both the manufacturer and the distributor, but it is the distributor that will be found liable for any failure to do so. Penalties for non-­compliance in connection with product recall rules include a fine of a minimum of 1,000 dirhams (with no maximum financial penalty stipulated) and referral to the Public Prosecutor for possible prosecution for commercial fraud, which may result in a prison sentence of up to two years, presumably for the manager of the establishment being prosecuted. There are no specific product liability laws or regulations which exclusively apply to the automotive industry in the UAE. We have therefore set out below the general principles that apply in relation to consumer litigation in product liability and product recalls. Question 7 contains information relevant to sanctions a distributor may face for failure to comply with product recall laws. A consumer can make a claim against a manufacturer or an importer under the UAE Civil Code if any products are defective and such defects are not covered by a warranty, or if the products do not fit their descriptions. Distributors can also be sued for misrepresentation in such cases. Additionally, consumers can bring claims for breach of contract against distributors under the Commercial Transactions Law No. 18 of 1993 if any vehicles are not fit for purpose. In cases of ‘gross cheating’, the consumer can have the entire contract with the distributor invalidated. As a general rule, courts in the UAE only award damages for direct losses. Class actions do not yet exist in the UAE, and are unlikely to be introduced in the near future. When claims are brought by consumers against distributors or importers, vehicle manufacturers may be required under the supply contract to indemnify such parties for the cost of remedying the defects in vehicles or spare parts. General principles of competition law under the UAE Federal Competition Law No. 4 of 2012 are applicable to the automotive industry in the UAE. For example, geographic division of markets and agreements between competitors to avoid soliciting each other’s customers are considered to be anticompetitive. It is therefore unlawful, for example, for automotive distributors to allocate territories between them and agree not to market products in the territories allocated to the other distributor. Similarly, abuse of a dominant position by a distributor or manufacturer, or any agreements between competitors aimed at reducing competition in the market, such as collusion in bids and tenders or agreements on the terms and conditions for goods and services, will likely be prohibited under the UAE Competition Law. Consumers who are affected by anticompetitive agreements or conduct can complain to the MOE. The potential for follow-on litigation is currently unclear on the basis that it is largely untested, but a finding anticompetitive behaviour will have a negative impact on the business of both the manufacturer and the distributor, in addition to resulting in potential criminal sanctions and fines ranging between 50,000 and 5 million dirhams for either abusing a dominant position or entering into an agreement that restricts competition in the UAE. Notwithstanding the information above, the Federal Competition Law No. 4 of 2012 is stated to be subject to further regulations, some of which have not yet been published. The competition law of the UAE has therefore not been completely implemented and it is uncertain and unclear how the courts will enforce competition law principles in the UAE. According to an article published in August 2016 by Gulf News, based on statistics provided by the Department of Economic Development, the automotive sector accounted for 2,430 consumer complaints recorded in the UAE during the first half of 2016. Seventy-three per cent of the disputes related to non-compliance with the terms of sales or service agreements, refunds or defective products. The terms and conditions of vehicle warranty, insurance and sales and service agreements constitute most of the disputes in the automotive industry. Several manufacturers and distributors are in the process of setting up bilingual customer care counters in their showrooms to comply with the standards set by the Department of Economic Development, to offer solutions and accelerate the customer satisfaction process and resolve disputes with customers prior to the commencement of litigation. Disputes between automotive manufacturers and their distributors are relatively rare in the UAE because of the difficulty a manufacturer would have in terminating such a relationship, as detailed in question 4. It is recommended that manufacturers ensure that they include arbitration provisions in their agreements that state that an arbitrator’s award is final and binding. However, in practical terms, due to the protected nature of UAE distributors under the Federal Commercial Agencies Law No. 18 of 1981, enforcement of an arbitral award in court may prove to be difficult. Injunctive relief is not typically available in the UAE. It is in the manufacturer’s interests to resolve any problems with the distributor amicably, rather than attempting to terminate the distribution agreement prior to the end of its term, as the manufacturer will find such termination process difficult and time-consuming. More importantly, the automotive manufacturer will be unable to sell any products in the region without having an appointed local distributor. In practice, the distributor and the automotive manufacturer may seek to reach an agreement in order to extend the supply period by offering discounts to the distributor or shipping certain products free of charge in order to reduce damage caused to the distributor and to avoid complaints from customers. Ultimately, the parties are reliant upon each other such that neither the automotive manufacturer nor the distributor is capable of selling products in the UAE without the other party’s support. It is therefore in each of their best interests to support the other party during periods of distress. Intellectual property disputes between automotive manufacturers tend to commence in international markets and are simply reflected in the UAE, rather than originating in the UAE. Disputes between distributors in the UAE are rare and have not historically related to intellectual property. The principal intellectual property issues for automotive manufacturers and distributors in the UAE typically relate to branded counterfeit spare parts being imported or exported by non-authorised distributors and sold to consumers, which can potentially lead to safety concerns in addition to causing losses to the authorised distributors, which sell genuine but often more expensive spare parts. To resolve this issue, a key consideration for automotive manufacturers and distributors will be how to efficiently implement anti-­counterfeiting measures in the UAE. Such a process is likely to require extensive communication with customs authorities and the police in order to effectively implement such measures. Employment law in the UAE is relatively basic compared to that in certain other jurisdictions. By way of example, trade unions and works councils are not permitted in the UAE. Employees are hired under employment contracts, which may be permanent or fixed to a specific period of time. All employment agreements in the UAE must comply with Federal Law No. 8 of 1980 (the Labour Law) and associated regulations and ministerial decisions. Most employment contracts can be terminated on one month’s notice unless otherwise agreed between the employer and the employee. On termination of an employment contract, an end of service gratuity may be payable to the employee, as further detailed below. Under the Labour Law, any employee who has completed at least one year of continuous service is entitled to an end of service gratuity payment that amounts to 21 days’ remuneration for each year of service for his or her first five years of service and 30 days’ remuneration for each additional year of service, provided that the aggregate amount of the end of service does not exceed two years’ remuneration. 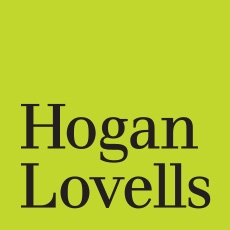 For further information on employment laws in various jurisdictions, including the Gulf region, see Hogan Lovells’ dedicated employment law portal at http://limegreenemployment.hoganlovells.com. ESMA has prepared draft standards applicable to electric and hybrid vehicles being imported into the UAE, and these standards have been provided to the GSO for consideration as the GSO is also seeking to develop standards in connection with these vehicles. The standards are still in draft form at the time of writing, and we have not been able to review copies of them. It will be important for cooperation between the GSO and the local standards bodies in each GCC county (such as ESMA in the UAE) to ensure that the final standards produced by each authority are aligned and automotive manufacturers are not required to make modifications to vehicles for each of the GCC countries. It will also be important for these standards to be substantially similar to those used in other significant markets (such as the United States) in order to incentivise manufacturers to export their electric and hybrid vehicles to GCC countries in mass quantities. Uncertainty in the standards could potentially cause problems in the licensing of such vehicles as well as inconsistency of product quality, therefore frustrating the objectives of standardisation and objective to create a sustainable electric and hybrid market in the UAE. The Dubai Green Mobility Initiative was established in 2015 by the Supreme Council of Energy as a strategy to achieve sustainable development and to create a low-carbon economy by promoting the use of hybrid cars and electric vehicles in Dubai. In addition, Vision 2021 was launched by His Highness Sheikh Mohammed bin Rashid Al Maktoum, the Prime Minister of the UAE and the Ruler of Dubai. One of the pillars of the Vision 2021 project is to create a sustainable environment and infrastructure, measured by a number of key performance indicators including a targeted air quality index of 90 per cent and an increase in clean energy contribution by 2021. Regulations and standards in relation to connected and automated driving vehicles are still under development at the time of writing, but it is expected that the UAE will continue to be progressive with its legal framework to enable such vehicles to enter the market in the UAE.